The package is offered on the Charger R/T and Charger R/T Road & Track trim levels. Those come with the company’s 370-horsepower 5.7-liter V8 engine with 5-speed automatic transmission, xenon headlights, and soft-touch interior materials with aluminum accents. 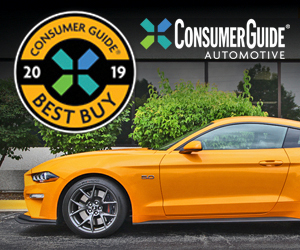 The R/T Road & Track adds a rear spoiler, special axle ratio, 20-inch wheels shod with all-season performance rubber, a recalibrated ECU (Engine Control Unit), heated and ventilated sport seats, and a memory system for the driver seat, power-adjustable pedals, and the steering column. The Daytona package adds steering-wheel-mounted paddle shifters with a “sport” driving mode and recalibrated steering. Special exterior styling touches include unique 20-inch wheels with black-painted surfaces, painted matte-black grille, a vinyl hood and roof appliqués, a rear spoiler, a blue-painted engine cover, and the word “Daytona” written on the rear flanks. Inside, the Daytona has seats upholstered in black leather and suede with blue accent stitching and piping and “Daytona” stitched into the front seat backs. Dark aluminum accents adorn the central control panel. The Daytona comes with a touchscreen infotainment system, metal pedals, Beats-brand audio system, and a unique numbered dash plaque. 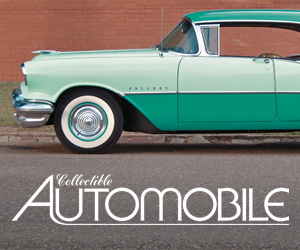 The car is available only in dark blue, white, silver, or black. 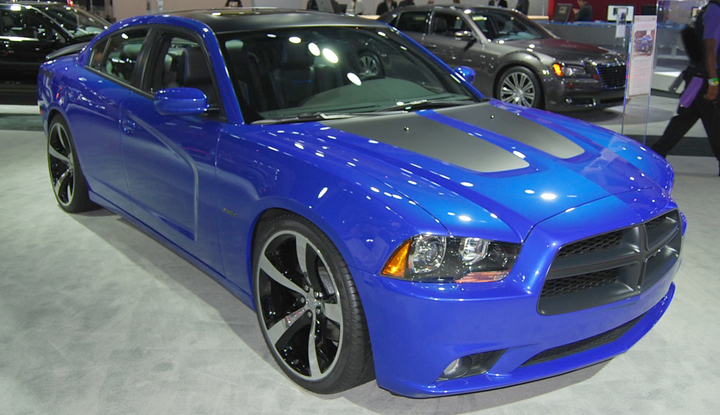 The 2013 Dodge Charger Daytona will arrive at dealerships in the first quarter of 2013. It will ring in at $32,990 for the R/T and $36,495 for the R/T Road & Track. 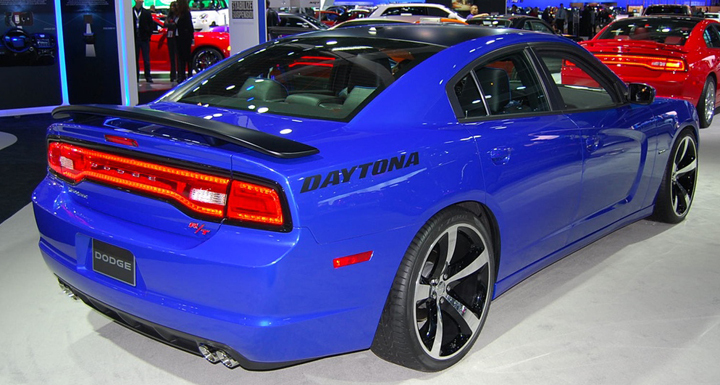 CG Says: Though it adds more flair to the already sporty Charger R/T, the Daytona’s additions are mostly aesthetic. Besides enthusiast customers who appreciate and crave special-edition models, other buyers would likely be quite happy buying a standard R/T or R/T Road and Track and saving the few thousand dollars that the Daytona commands. But, to our eyes, the Daytona looks totally cool, and we’d love to have one. Written by: Ed Piotrowski on November 29, 2012.on February 5, 2018.